While the new year has just begun, The Internet spent their 2018 by not only releasing a new album, but also killing shows and selling out venues all over the U.S. Fresh from the release of their fourth studio album, Hive Mind, the gang set off on the North American leg of their tour. 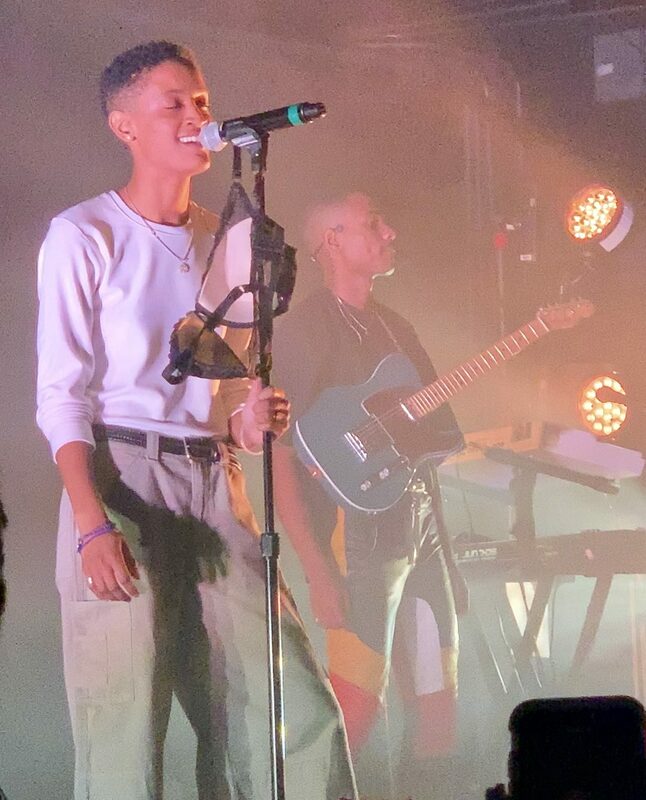 With the tour ending on Wednesday (Dec. 19), Syd and the gang jammed with the DMV for not one, but two nights straight at The Fillmore. Although our date was the original, Tuesday, December 8th marked night 2! While we eagerly stood awaiting the group’s epic arrival, we were greeted by the soul-filled group “Moonchild.” Having never heard of them, I hesitantly prepared myself to see what this group would bring. However, it’s safe to say… I enjoyed it! Performing for almost an hour, Moonchild radiated heavy soul, jazz appeal and electronic vibes! Before finishing their set, the trio even performed a cover of Jill Scott’s “A Long Walk!” They definitely impressed me through their instrumentation and stage presence. Upon departing the stage, the DJ started to play some tunes to keep the crowd lively as we got ready to witness the band tear up the stage. 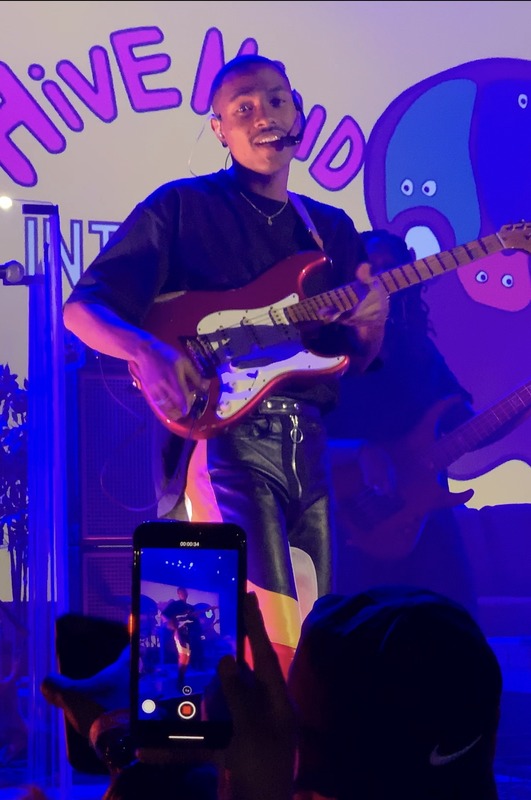 As the crowd danced and sang along to some of their favorite songs, the lights dimmed and loud screams erupted through the entire venue. The show was about to start! While the rest of the group members readied themselves, the crowd went insane awaiting Syd’s arrival. The instruments began to blaze and Syd appeared in the middle of the stage as the crowd went bonkers! Taking no time to keep the show moving, The Internet, led by Syd, opened with “Come Together” from Hive Mind. The atmosphere was truly electric. Performing well over an hour, naturally, the group performed with such a vigorous energy. They kept the audience hype and energized wanting more as the night went by. As a unit, the group was completely refreshing! From Christopher Smith on the drums, Patrick and Steve Lacy on guitar and Syd on vocals, the show was honestly angelic. Rarely are there artists whose voices sound even better live than the studio version. Syd was definitely one of those rarities! Her voice was one of the purest sounds I have ever heard in my entire life. Along with Steve Lacy’s vocals and the group’s production, The Internet was flawless! Every pitch, key, guitar string, drumbeat, etc. was perfect! Syd did an amazing job interacting with the group. There were several moments in the show where she would ask if we were enjoying ourselves; she even asked us if we were well hydrated. The interactions continued as a fan from the balcony through their bra to the singer. Laughing and picking up the bra, she placed it on her mic stand, continuing to talk about the new album. “So anyway, we just dropped this album, called Hive Mind… Can we do some new sh*t?” Erupting like a volcano the crowd cheered for pure joy. Performing hit songs from Hive Mind, the band performed, “Roll (Burbank Funk),” “Hold On,” “La Di Da,” “Mood,” “Stay the Night,” “Look What U Started,” and more. A truly heartfelt, memorable moment came when Syd and the group began to perform “It Gets Better (With Time).” Before starting the song, Syd took a serious moment to address her struggle with depression as well as dealing with losing a close friend of the group, the late Mac Miller. As the beat began, she dedicated the song to Mac and the crowd sang along with her. Special moments continued throughout the night when Syd invited the winner of the Hive Mind cover contest to perform on stage with her and the group. Making a name for himself, the winner played his guitar as if his very life depended on it. As he finished, he hugged Syd, made a Snapchat video on stage and thanked the crowd. Truly, the show was outstanding: Syd, Matt, Steve, Christopher, and Patrick did an amazing job. From instrumentation, vocals and stage presence, to the outfits and delivery, the show was perfect. They did a great job setting such an intimate atmosphere. Syd danced with us, looked at us and continuously spoke back to others in the crowd. She even signed someone’s vans at the end of the show. The flow of the show was excellent! Their authenticity as a band and friends was beautiful to see. The group will begin touring overseas starting in March, hitting countries such as France, Brazil, Germany, Australia and more! This was my first time seeing The Internet, but it most definitely will not be my last! Thank you guys so much for an unforgettable experience!